Vet Tix is an awesome organization! The fans that redeem the tickets are also awesome! Brandi Shannon has been my contact here and she makes everything run smooth. I would like Vet Tix to know how much my staff and I enjoy working with your organization. Everyone has always been so friendly and appreciative that it makes it a real pleasure for us when we have tickets available to offer. Vet Tix was a lifesaver last year. Brandi seriously went so far above and beyond for us on so many shows, I don’t even know where to begin thanking her for the awesome job she did. Brandi has always been so efficient and reliable, and I know without a doubt I can always count on Brandi and Vet Tix to help us make every show magical. It’s always a pleasure working with Brandi and Vet Tix. I think what Vet Tix does is amazing and I’m glad that I can help repay people that do so much for us with a night of fun and entertainment. Working with VetTix is such a joy – Brandi makes it so easy! I love what VetTix stands for, and it’s great to be able to contribute in whatever way possible to those who do so much for our country. The recipient feedback always blows my mind, and we love to help whenever we can. It is a pleasure to work with Brandi Shannon and Vet Tix. We are grateful for the work that the organization does and honored to provide our military veterans with complimentary live entertainment. It’s a small token of our appreciation for the sacrifices they have made on our behalf. Keep up the great work and thank you for your service! Sun Devil Athletics has had the pleasure to work and partner with Veteran Tickets Foundation to bring out the local military and veteran community to all Sun Devil Athletic sporting events. The partnership that we have with Vet Tix has helped us grow our Sun Devil fan base throughout the valley as well as with different military branches. We have been and will continue to work with them as a partner in order to grow our relationships with the military and veteran communities. Sun Devil Athletics has had a rich tradition when it comes to the military and Vet Tix has helped us continue with that tradition. 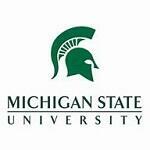 We can't thank Veteran Tickets Foundation enough for doing what they do both through donations of tickets and supporting our athletic department. When it comes to donation of tickets, we will call Vet Tix first! Vet Tix is a great organization to work with because they are very well organized and make sure that the tickets donated are being put in the right hands. 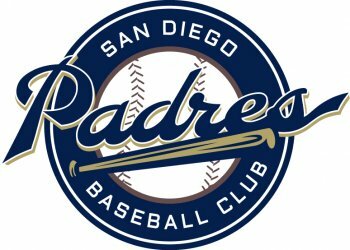 Although we have a pretty good grasp on the military community in San Diego, Vet Tix helps us reach other service members we may not have reached. Vet Tix is part of our Charity Ticket Program in which many of our tickets are donated to military and first responder communities. I was very impressed on how organized Vet Tix is with the fact that they have every recipients name, address, and track their redemption on if their tickets are being used or not. Vet Tix is great to work with and we are looking forward to great 2015 season. Doing business with Vet Tix could not be easier. It is a matter of creating a customer account within Paciolan with the email address of tickets@vettix.org and then selling complimentary tickets with a delivery method of print-at-home. Vet Tix takes it from there. They confirm the eligibility of the veterans and handle the delivery of the tickets. The best part is when the veterans go back online and post pictures and or testimonials. Reading these testimonials has proven to be as beneficial to our staff as we hope attending the games are for our veterans. Oregon State Athletics began working with Vet Tix back in the 2012 Football season and the partnership has been nothing short of amazing! We were having difficulty with filling our stadium for non-conference football games due to our student body not yet being in class. We wanted to accomplish two things, fill the stadium and provide an opportunity to those that would normally be unable to attend. 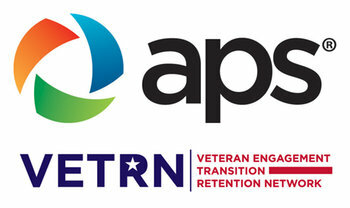 The working relationship with Veteran Tickets Foundation helped us accomplish both goals. We were able to move a couple hundred tickets in a matter of days. Eddie and his staff makes it so easy to donate tickets to the organization. 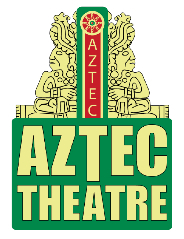 The ability to send tickets electronically makes life managing inventory much easier. Another aspect of the relationship that I personally enjoy are the testimonials from those that used the tickets at the event. When I receive the link, just reading the gratitude shows that this partnership is a win for everyone and one that I see continuing for a very long time. Maryland Athletics is extremely proud to partner with Veteran Tickets Foundation. This relationship has allowed us to quickly and conveniently distribute tickets that previously would have gone unused. More importantly, it has provided us with the opportunity to donate tickets to those individuals that truly deserve and appreciate them: our nation's veterans. Working with Veteran Tickets Foundation over the years has been very easy and incredibly beneficial for Maryland Athletics and the University community as a whole. It is our hope that these benefits are likewise felt by both Veteran Tickets Foundation and the heroes that use our donated tickets. 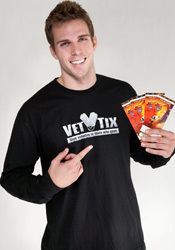 Arizona Athletics has worked with VetTix on multiple occasions with outstanding results. VetTix has the ability to receive and distribute electronic tickets in addition to printed tickets which has been a great help as we generally need to allocate a large number of tickets quickly. VetTix has given Arizona Athletics the opportunity to say "thank you" to our veterans and at the same time fill every seat in the venue, which is a victory for everyone involved. "UNC has been proud to partner with Vet Tix for several years based on their strong commitment to serving veterans and their proven ability to execute donations to a large and verified database." I am a huge advocate for Vet Tix! Being a Veteran myself, I have been lucky to be awarded tickets, so I know the joy Vet Tix brings to me and my family when I'm awarded tickets. I am also luck to work for a company who strongly supports Veterans and now that I'm a member of our Veteran Employee Engagement Council I have recommended fulfilling Hero's wishes as we can afford. I appreciate Vet Tix working with me to create an account from my company and the Veteran Engagement Network so my company and our group is shown as the appropriate donors and not just me. Thank you Vet Tix! The Vet Tix Foundation has been a great organization to work with over the past few years. They are able to distribute tickets directly to Veterans that we likely would not be able to reach on our own. Vet Tix often sends us "thank you" notes from veterans that receive tickets and wanted to share their experience with us. They have proven to be a great tool in aiding us to reach some of our military fan base and have really streamlined the process for us. We look forward to work with Vet Tix this coming season and the future. VET TIX is an awesome organization with dedicated individuals to guide companies who want to give back to our brave Men and Women who have given so much. We have used VET TIX for 2 years. Your website is awesome. Thank you for all you do for our Military! Great job Vettix. This is a great program. 5-hour ENERGY recently worked on an MLB project with Vet Tix, providing tickets to our military and veterans for games with teams such as the Dodgers, Yankees, White Sox, Cubs, and Angels. We have also partnered to make dreams come true as part of their Hero's Wishes program with donation of tickets for NFL games and NASCAR races. The concept is easy and the reward enormous, it was an honor to give back to our veterans and see the tickets go to good use. Vet Tix doesn't just take hand-outs, they treat their sponsors with appreciation and esteem, which is evident from the gratitude shown by their fans and followers.